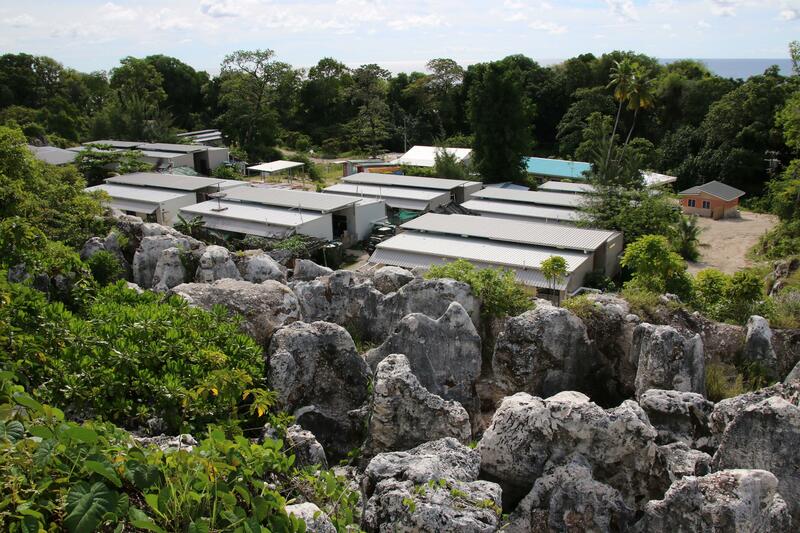 CANBERRA, Australia -- Australia aims to remove all asylum seeker children from Nauru within two months as concerns escalate about their deteriorating health after languishing on the tiny Pacific atoll nation for up to five years. Cabinet ministers said Thursday, however, that the government is maintaining its much-criticized policy of sending all asylum seekers who attempt to reach Australia by boat to immigration camps on Nauru and Papua New Guinea. Refugee advocates welcomed the change for children, 46 of whom were born in Nauru. Activists said that, on Thursday, there were only 38 children remaining there. Papua New Guinea has male-only facilities and all the asylum seekers there are adults. "We have seen children not eating or drinking for days, in a comatose state"
Australia has all but ended the people-smuggling traffic from Southeast Asian ports since it announced that any asylum seekers who attempt reach Australian shores by boat from July 19, 2013, would never be allowed to settle in Australia. Anyone who attempts the journey is currently sent to remote camps on Nauru and Papua New Guinea's Manu Island for processing. "I've seen some of these children myself with matchstick arms and legs because they haven't been eating - imagery that you've seen in war," he added. She said two close friends moved to Australia a few months ago, and it has been good for them because they can finally go to school, make new friends, and go out at night.